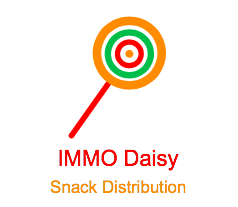 Established in 1927, IMMO Daisy Snack and Candy Distribution is one of the oldest, privately owned, wholesale candy distributors in the nation and offers over 3000 items with an emphasis on old fashion and nostalgic retro candies. We offer a wide variety of wholesale candy and snacks for gift shops, boutiques, college book stores, hotels, hospitals, airports, and more. IMMO Daisy has options ranging from chocolate and candy bars to popcorn, bulk candy, and much more! With top wholesale snacks from leading brands such as Blue Diamond, Chex Mix, Cheez Its and so much more, we will sure to have all fan favorites in our snack collection. We also carry top wholesale candy brands like Russell Stover, Lindt, Hershey, and M&M Mars to provide quality sweets for your store customers. We also cater to those who require gluten free or sugar free options. For chocolate lovers, we haven’t forgotten about you. Because of the perishable nature of chocolate, Kelli’s will ship your chocolate all year round using our specialized insulated shipping containers and gel packs to ensure safety and quality of every chocolate product. Browse our collection of wholesale candy and snacks today to find all of your sweet and salty treat needs. Unlike other online candy distributors, IMMO Daisy is not an affiliate program as we ship directly from our warehouse assuring that your products arrive intact and are of the highest quality. We ship throughout the United States and were amongst the first to offer export service to Europe and beyond. On orders with special handling needs, we offer a custom support program that guarantees you receive the quantity of the product ordered in the specified time frame. Although our website focuses primarily on confectionary products, we have access to grocery, novelty and sundry items so should you not see what you are looking for, please do not hesitate to contact us and we will do our best to locate it.